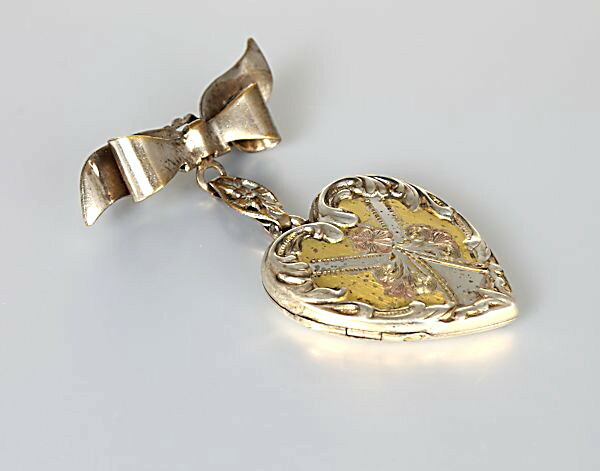 Lovely circa 1920s art deco locket chatelaine. 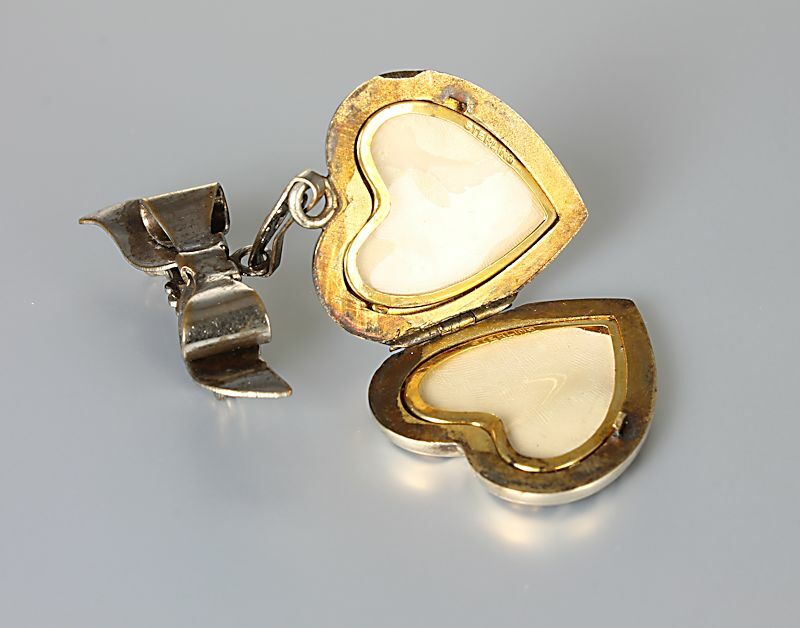 Brooch has a charming feminine appearance and features a two tone gold fill. 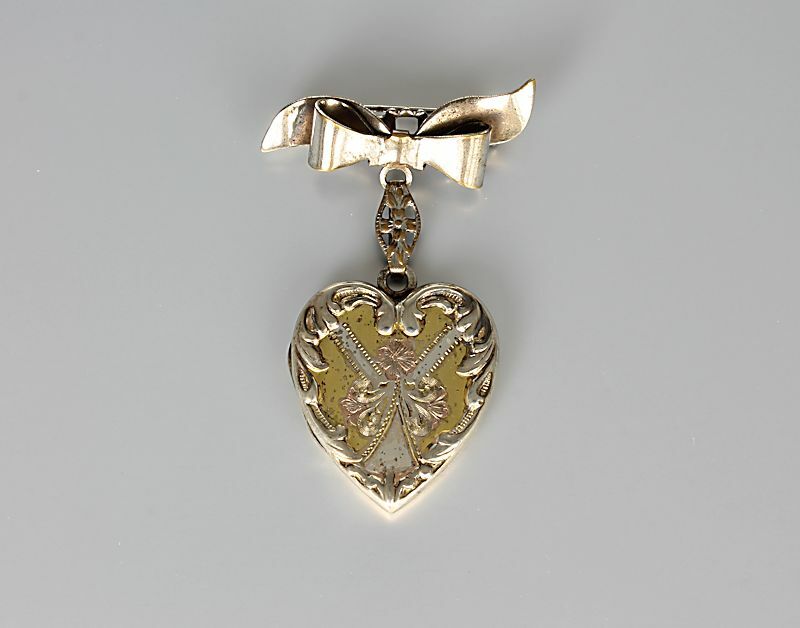 Heart locket measures 1 inch by 15/16 inches and is suspended with an embellished cut out link from a gracious bow. It opens and closes very well with a nice, firm click. 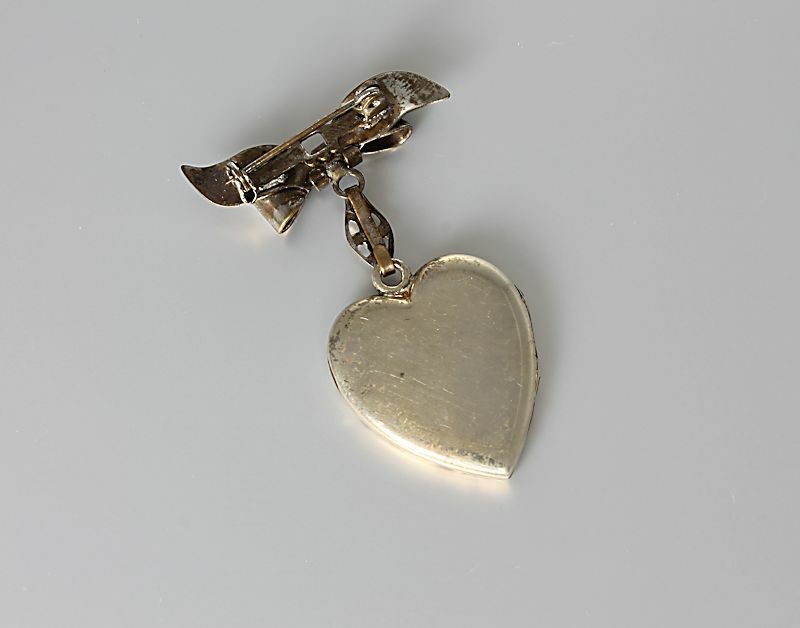 Brooch measures 2 inches in length measured from the top of the bow to the bottom of the heart and 1 1/4 inches in width. There is some surface wear to the gold fill plate, but brooch is still very pretty.